As a white woman, I can’t in any way imagine what it’s like to be a minority. I set the best example I am capable of, but how does a parent address racial differences with young children? And when do we do this? I honestly think my asking that question is indicative of the fact that this isn’t a problem I face on a daily basis. I live in a suburb of Kansas City, where two Indian men were shot in a bar earlier this year, brought on only by the fact that they “looked” Muslim. One was killed and the other was badly injured. This struck close to home for a couple of reasons. For 10 years, my husband, John, and I lived about 1.5 miles up the street from that bar. And John works in the same department as those men and they were major contributors to the projects he manages. This was three weeks after our current president was elected and the news was going haywire every day. Everything was so emotionally charged in our house around that time as John and I talked about the latest breaking news as we, and the rest of our country, were adapting to the new administration. He couldn’t come home without me being riled up about the latest happenings. And then, about a week after the shooting, I went to pick up my oldest, Penny, from preschool. Her teacher told me about a conversation between Penny and two other boys that day — one brown, one white. Penny was talking about her birthday and who would be invited, and she told the brown boy he couldn’t come because he was brown. I then went into overreaction mode because I, for sure, didn’t want to be the mom with the racist kid. I told her about those two men who were shot and how one of them was killed. I told her that the only reason he was shot was because another man didn’t like the color of his skin. And that brown people and black people and anybody who’s not white in our country are having a hard time right now. And it’s not fair to them. I tried to compare it to books — you can’t judge whether you like a book by looking at the outside. At some point Penny checked out of the conversation, but I was so determined to help her understand how hard it is for other families right now that I just kept going. The next time I had a chance to talk to the teacher, I confessed to her that I might have overreacted because I didn’t know when to stop, and I had no idea how to handle this conversation. Her teacher told me this was normal, and that the kids were just starting to notice the differences in themselves, boys vs. girls and the color of their skin. I asked if they address it at school, and she said it’s something they talk about regularly. Penny has asked a few more times about the men who were shot and eventually developed a friendship with the brown boys in her class. 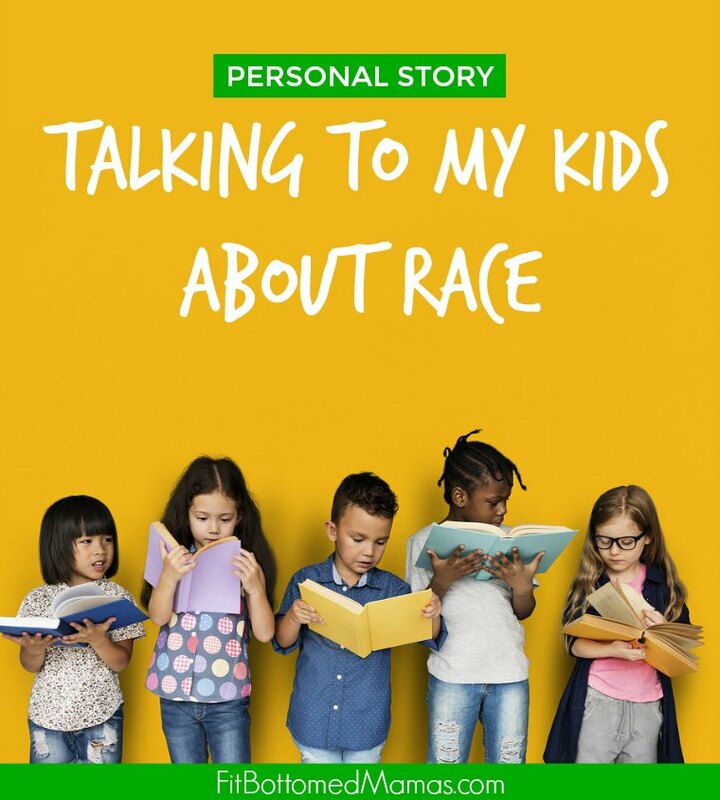 But this brings up a really important topic: As a white family, how and when do you bring up the topic of race and how do you explain acceptance and diversity to young children? When Jenn at FBG asked me if I’d like to review a book about this topic, I jumped at the chance. 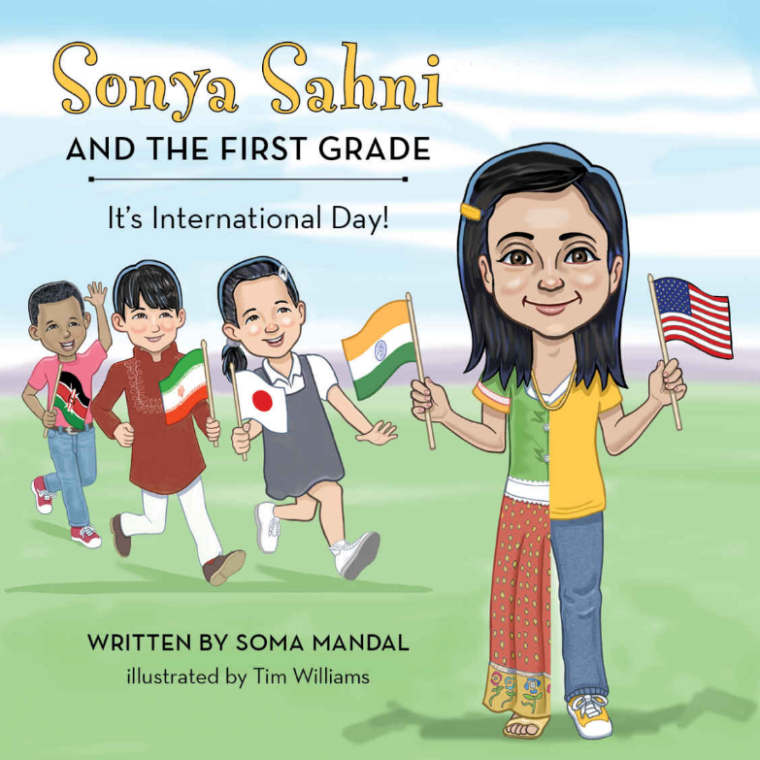 Sonya Sahni and The First Grade is a book written by Soma Mandal about a girl born in the United States to Indian immigrant parents. The book highlights how important it is for Sonya’s parents to teach her Indian culture, but along the way they weren’t recognizing her desire to fit in with her classmates. Penny and I read this book together, and she enjoys it. But as a parent, I’m looking for more resources to explain and celebrate the challenges that face children of color. How does any family talk about racism in a way that advocates for equal rights and protecting one’s heritage while also educating on the reality that we have a problem (and have for a long time)? How do you talk about this with your children? As a white mother with white children, I find this to be a very challenging discussion because I can’t ever know what it’s like to be on the receiving end of it. As I type this, I’m reminded of a study lead by a teacher in the 1970s. In the PBS documentary A Class Divided, the children had to FEEL what it’s like to be discriminated against. It took two classroom days. One day a group of children with brown eyes were the ones who were treated better, and the next day it was reversed. It’s very powerful, and when my kids are old enough to understand and sit through it, I’d like to watch it with them. We need more age-appropriate books and even TV shows that address these challenges, from the perspective of those being discriminated against, and discussing how to teach your white children about it. As the country becomes increasingly diverse, I’d like to know how to teach love and acceptance.